Generally your home provides the best opportunity to secure the most cost effective debt available in any given market. As your home is used as security against the loan, it provides the lender with additional confidence to lend money to you and at a lower interest rate than a credit card or personal loan. Credit cards and other store loans are provided without security and therefore lenders charge much higher rates of interest as in the event of default they are unable to immediately gain access to your assets to seek repayment of their loan. In the majority of instances you will be financially better off utilising your home loan given the potential interest savings. It is important to remember that rather than continually spending borrowed money, good budgeting, spending within your means and controlling your discretionary spending are the keys to getting ahead financially. A good savings and investment plan combined with a planned debt reduction strategy are important tools in securing your financial independence. That’s a key component of our service offerings to you. It is also worth noting that consolidating debts that are overdue, over limit or in arrears may not be approved by mainstream lenders. You will also need to have sufficient equity in your property to add the additional debt to the loan. 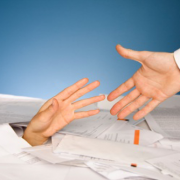 We will explore your individual circumstances to determine if debt consolidation may be suitable. To ensure that you are minimising your interest payable on a soon to expire interest free loan or credit card that is unlikely to be paid off in the foreseeable future you may like to consider debt consolidation as part of your debt reduction strategy. This involves taking multiple debts and consolidating them into one loan with a much lower average interest rate. A home loan usually has the lowest interest rate. In this example, consolidating all debt will reduce the monthy repayments from $2337.43pm to $1580.16pm (a whopping saving of $757.27 PER MONTH) and helping you to regain control of your finances. This should only be undertaken for a short period of time as you will pay additional interest (over and above your regular home loan) as a result of a number of the loans being repaid over a longer term. Sometimes when you refinance it gives you a false sense of security with the additional cashflow available to spend each month. Don’t be fooled or you may end up in the same financial place you have just came from. The average Australian household has a debt of around 185% of their annual disposable income. Australian households have the fifth highest debt levels in the world with household debt increasing fourfold since 1988 . Average debt levels are $12,643 for personal loans, $3,114 for credit card balances and $16,320 for car loans. So what does this mean for the ‘average’ Australian? Is your debt growing faster than your assets? Are you concerned about your debt situation? Are you struggling to make your monthly repayments? Does it always seem like your bills amount to more than your wages? If you answered yes to one or more of these questions, then perhaps it’s time to look at a solution for your debt condition NOW – before it’s too late. Why do so many of us have debt problems? Some people fail to recognise that using credit to purchase items for use TODAY means they are spending their future earnings before they have even received them. With debt levels increasing the government is currently assessing credit card rules – there is a push for lenders to assess suitability based on a consumer’s ability to repay within a reasonable period. However in the past lenders have offered credit cards, with preapproved limits, without thoroughly checking credit histories or capacity to repay. In the past we saved up or used the lay-by method, ie we used money we already HAD for items we wanted. Now, as an ‘instant gratification’ society with an abundance of creditat our finger tips we are tempted to use it without considering future consequences. Little wonder many people experience high levels of debt. What are the first signs of trouble? You think it is unlikely you will be able to repay your existing debt with your foreseeable future income. You have multiple credit cards. You are no longer paying the balance of your debt each month – you just pay the minimum amount. You arranged for more credit cards (or a personal loan) to help pay off the other cards. You added a store card(s) because there was no room left on the credit cards…. 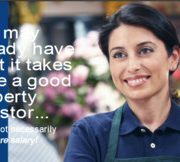 Eventually your repayments start to approach – or even exceed – your income. We all know that good budgeting and discretionary spending discipline is the real answer, but sometimes it doesn’t matter how well you budget there’s just not enough money to make ends meet. One solution (and this is NOT for everyone) may be debt consolidation. For some of us it may be too late for budgeting because the debt level is already greater than your income and there is nothing that can be done. In this instance, debt consolidation may be the option for you. This is when you take multiple debts (where the majority of the debt has a much higher interest rate) and consolidate the debt into one loan with a lower average interest rate. Generally most people opt for refinancing against their home (using existing equity) as it has the lowest interest rate. For example, your home loan rate may be 5.5% as opposed to a personal loan that might be 10.95% or higher (definitely lower than most credit cards). How can we help? 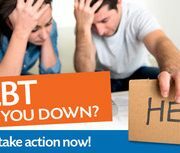 If your debt levels are a concern and you think you may be experiencing the first signs of trouble CALL US NOW before it is too late. We don’t judge. We are here to help. Ask us for our debt consolidation spreadsheet to see how much we can potentially save you each month to go towards the payment of your debt. You may be surprised. Even if you are managing your current debt, it never hurts to review your finances to see how your cash flow can be impacted favourably. If you have friends or family who you think could benefit from reading this article, please forward it to them. http://www.indigofinance.com.au/wp-content/uploads/2017/04/album_photos_medium_29.jpg 153 299 wsadmin http://www.indigofinance.com.au/wp-content/uploads/2017/01/indigo-finance-logo.png wsadmin2017-04-19 15:43:422017-04-19 15:43:42Debt got you down? Once upon a time when the cash rate moved (up or down), most lenders would typically move their interest rate in alignment with the cash rate change. Have you noticed that when the cash rate moves up the lenders are quick to pounce on an increase and pass these increases on to us – the consumer – immediately? AND have you noticed that when the cash rate goes down it can take at least a month for them to respond and for them to pass on the savings? If you have been paying attention over the last few weeks, the major banks have increased their rates independently of the Reserve Bank’s monthly decision to keep the cash rate unchanged. Not only are they penalising investors (those who provide public housing), but now owner occupiers are taking a hit as well. Even small business variable loans are being increased. We hear all the time that the banks are hiking up their rates in response to increased funding costs (which is true – but that’s another story), however it is still a hard pill to swallow when they announce their multi-million dollar profits each year. So what can YOU do as a consumer of lending products? According to a major study reported only 12 months ago, 90% of home owners DO NOT KNOW THEIR CURRENT INTEREST RATE1. And even more concerning is that the average Aussie pays up to 1.75% more interest on their home loan than the lowest rate available. That’s just over $5,000 PER YEAR for an average home loan of about $435,000 (in NSW). If it hasn’t been in the last 18 months, then it is pretty easy to suggest that there may be additional savings we could be finding for you. The CASH RATE has dropped 100 basis points (1%) in the last 2 years. How confident are you that your lender passed all of these savings on to you? Sometimes we don’t even have to change your lender to get you a better rate. Just ask us and we will negotiate this for you. We know (from all the years we have been in the finance industry) that your current lender IS NOT going to call you and tell you they are offering better deals to new clients (rather than looking after their existing, longer term and loyal clients) AND they will certainly not tell you that there is a better deal with another lender. The BIG four are not the only lenders in the market place. There are many other lenders in the market place who can provide similar offerings and sometimes even better facilities for your personal situation. That’s why we are here for you. To do all the ground work and find a financial offering that not only suits your needs and circumstances, but to guide you through your financial journey as life and the world around us changes. Jump on the phone or email us today to secure a conversation on how we may be able to improve your financial position. http://www.indigofinance.com.au/wp-content/uploads/2017/03/default-v2.jpg 198 300 wsadmin http://www.indigofinance.com.au/wp-content/uploads/2017/01/indigo-finance-logo.png wsadmin2017-04-19 15:42:382017-04-19 15:42:38What's that all about? If you have a ‘no frills’ home loan or is it packaged with other finance products? If you have an offset account? The purpose of an offset account? If you have a redraw facility? If so, do you use it? If your loan attracts a break fee? How many times did you answer ‘yes’? Research conducted last year found that many Australian consumers don’t know or understand the basic features of their own home loan. That’s a bit of a worry when some common home loanfeatures could potentially save you money! If you are not using your home loan features effectively you could be missing out on the many benefits that were set up for you when we established your finance. As your finance specialist this is one area where we really come to the fore. WE can impartially answer all of those home loan questions you might have that apply to YOU and your individual circumstances. With so much media hype about having to get the lowest interest rate it is easy to overlook other facilities that could deliver benefits and savings over the life of your home loan. Research tells us that we all want to pay off our home loans quicker! Another recent survey found Australians are trying to reduce their mortgages as quickly as possible – in fact the survey found 60% of homeowners make extra loan repayments. 40% of respondents made more frequent payments, eg fortnightly or weekly instead of monthly, and 34% used a linked offset account to fast track their home loan repayments. In Australia close to 50% of home loans these days have a linked offset account. We find the biggest mistake most people make is not utilising their offset account wisely – they forget that we are here to help with the ongoing use and understanding of your finance education. If you don’t know or have forgotten what features your home loan includes and are not confident you are using them effectively then you need to reach out to us! If you haven’t revisited your loan features for a while – or if your circumstances have changed since you last reviewed your loan package – then it’s time to give us a call to help you start using it properly. It may even be that we can assist you with a new structure or package. We’d be happy to book a time for a finance review if you would like to check your current loan features! Book now to receive 10 free enteries to our amazing Santorini competition! 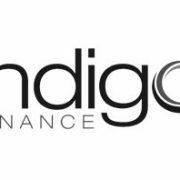 http://www.indigofinance.com.au/wp-content/uploads/2017/03/default-v2.jpg 198 300 wsadmin http://www.indigofinance.com.au/wp-content/uploads/2017/01/indigo-finance-logo.png wsadmin2017-04-19 15:42:122017-04-19 15:42:12How much do you know about your home loan? Do you have what it takes to be a good Property Investor? Income earners of five figure salaries are often the ones who knuckles down and save. Careful budgeting and discipline, coupled with motivation, are very important attributes of successful property investors. If you have had good practice stretching your dollar further and living within yur means, you might already have what it takes. They know they need to do something to get a better financial future. Many people are scared to invest in property because they just don’t like having debt. That’s a fair call…..but you can reduce your risk. Will you be part of the 20% of Australians who invest to secure their financial future OR will you be in the 80% who will need to rely on some form of goverment support at retirement? Property is considered on the upside. Spring is approaching – traditionally a period when there are more properties advertised for sale. It is also sometimes easier to obtain an investment loan than your first home loan. http://www.indigofinance.com.au/wp-content/uploads/2017/04/album_photos_medium_25.jpg 162 299 wsadmin http://www.indigofinance.com.au/wp-content/uploads/2017/01/indigo-finance-logo.png wsadmin2017-04-19 15:40:472017-04-19 15:40:47Do you have what it takes to be a good Property Investor?